“She [my director] knows I am into films screening, as she and I have been screening films in our [women’s] centre. She rightly thought that it was the perfect training opportunity [for me]. “When I joined, I was expecting to learn how to run a community cinema, without infringing the law as in regard to the need to request licence, and other technical things. The Hamlets Pop-Up Cinema: that’s a Wrap! It’s hard to believe it was a mere seven months ago that we first introduced The Hamlets Pop-up Cinema to the residents of Towers Hamlets. As we come to the end of this initial pilot phase, we thought it would be a good idea to reflect on just how much the team have achieved in such a short space of time. We first launched The Hamlets at the end of September 2017. Our innovative project aimed to involve local people in running their own regular film club screening great movies from around the world, and to also support the borough’s high streets and town centres with diverse pop-up events. We started by holding a free training session at Four Corners on Roman Road, led by national body Cinema for All (CfA). Nine people attended the one-day training, where they were given important insights and skills on how to manage a community cinema. 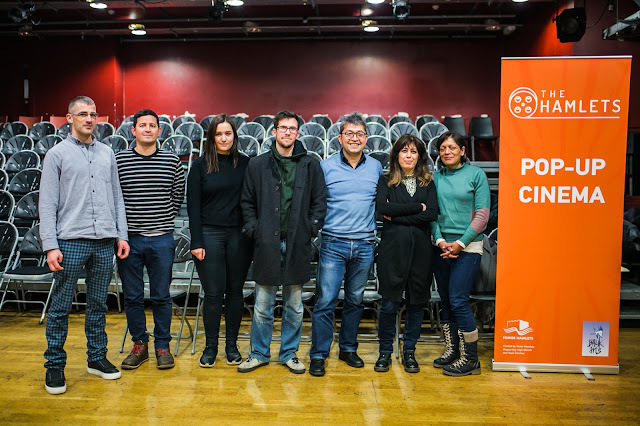 The Hamlets Pop-Up Cinema and its parent body, film charity Balik Arts, are pleased to announce they are working with the organisers of the East End Film Festival (EEFF) to promote one of the foreign language films being screened at this year’s festival. 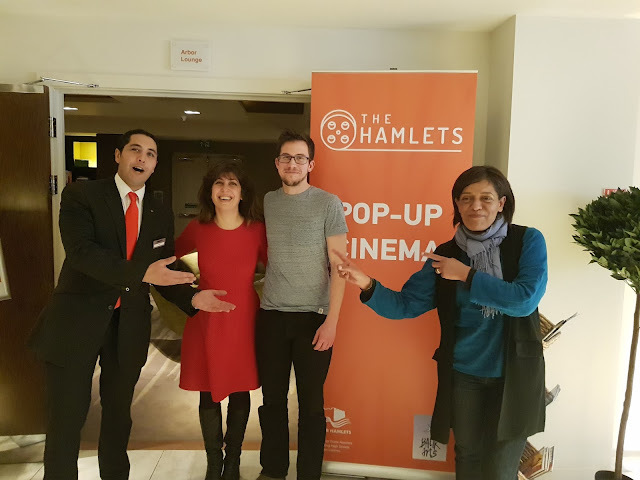 Since launching last September, community cinema The Hamlets has carved out a good name for itself with monthly screenings of world cinema in the east end borough of Tower Hamlets. One of its biggest turnouts was for the screening of Turkish documentary My Suburban Story. For EEFF 2018, The Hamlets and Balik Arts are supporting the screening of Daha (‘More’), a film made in Turkey about human traffickers exploiting refugees attempting to cross from the war-torn Middle East into Europe. Daha (More) is the directorial debut of Turkish actor Onur Saylak. The film, director and actors picked up several awards at film festivals following its release last year. For International Women’s Day, The Hamlets Pop-Up Cinema will feature a fabulous film from the United States. 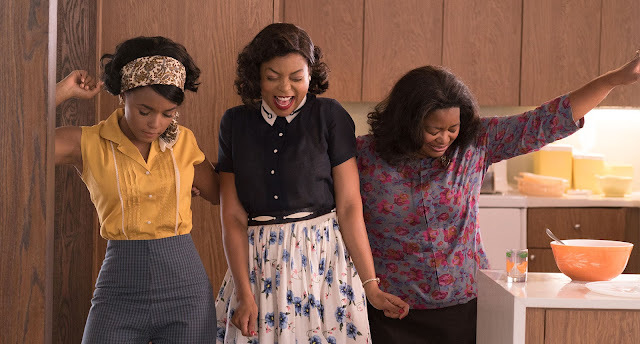 Released in 2016, Hidden Figures is theincredible yet little known true story about three women working at NASA, who served as the brains behind American astronaut John Glenn’s ground-breaking orbit around the Earth. Playing on 10 March, our Saturday afternoon movie has a top-draw cast: Katherine Jonson (Taraji P. Henson), Dorothy Vaughan (Octavia Spencer) and Mary Jackson (Janelle Monae) – three brilliant African-American women whose intellect not only enabled the successful launch into orbit of astronaut John Glenn, but also helped the USA move ahead of the Soviets in the all-important Space Race. The visionary trio crossed all gender and racial line and inspired generations. The Hamlets Pop-Up Cinema’s tour around the world continues to Afghanistan with the screening of The Prince of Nothingwood. 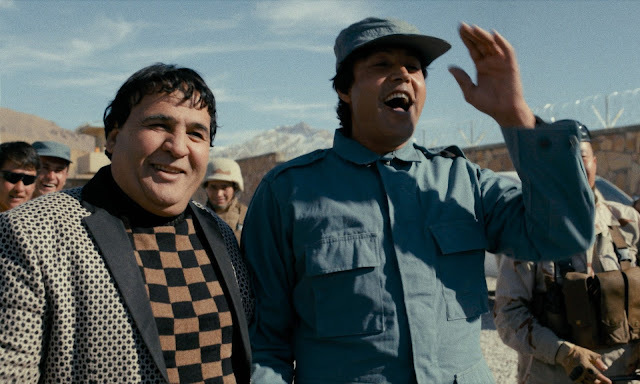 Released last year, this incredible documentary focuses not on Hollywood or Bollywood, but the “Nothingwood” of Afghanistan, where the country’s most “most popular and prolific actor-director-producer” Salim Shaheen has made more than a hundred movies. Unlike his American or Indian peers, Shaheen has next to no budget, and is forced to dodge “rocket attacks, riots and religious fundamentalism” to complete his films. The Hamlets Pop-Up Cinema proudly presents Mutluluk/Happiness (2017), short movie from Turkey. Part of our fantastic double-bill at the end of February, this award-winning film was written and directed by Necip Caghan Ozdemir, and tells the story of a man working at a car repair shop who is determined to overcome the gloom and misery around him to spread happiness. The 12-minute clip has already travelled the world through its official selection at the Sarajevo Film Festival, Dhaka International Film Festival and Hollywood Turkish Film Festival, with additional screenings at Cannes Short Film Corner and the International Bosphorus Film Festival, winning the Best Short Film Award at the latter. Its next stop is Bethnal Green in East London. Later this month, our Tower Hamlets travelling community cinema pops-up at Oxford House in East London for a very special evening: the UK premiere of acclaimed mockumentary Benim Varoş Hikayem / My Suburban Story. The film was released in Turkey last year to rave reviews. It’s set in the back streets of Adana, southern Turkey, where director Yunus Ozan Korkut captures the essence of life through the eyes and tales of brilliant local characters living in Ceyhan, on the outskirts of the city. Korkut, who is also from Adana, draws on his circle – family, friends, neighbours and other local notables – for this rare and authentic insight into their untold and, to the outsider, invisible world. His exquisite palette of personalities include Culluk Yusuf the expert bird-thief, feminist former village headwoman Naime, Devran who loves to prop up the bar, and local strongman Cihangir Abi.